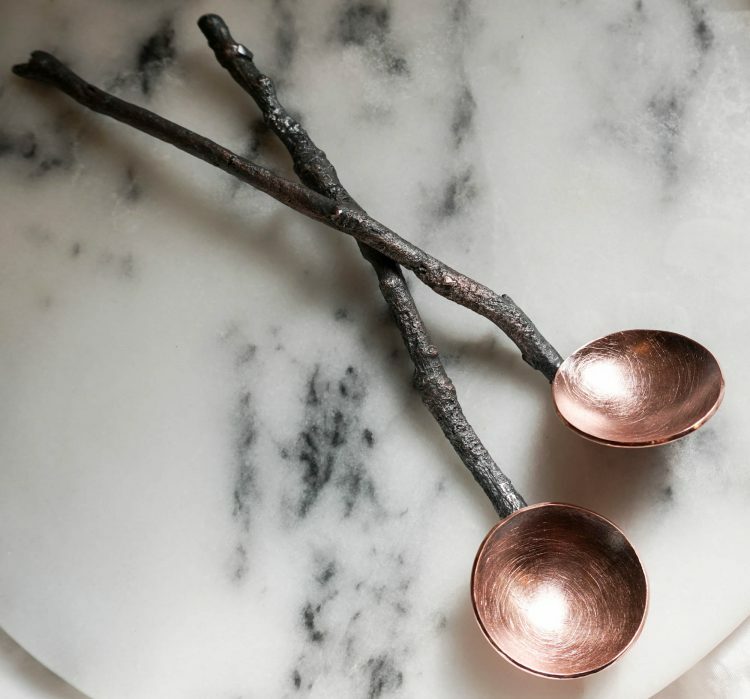 About a week ago I received an email from a lovely woman, named Amie asking about my copper twig sugar spoons. She was interested in a custom set of twig spoons but wanted them to be 2 1/2 times the size of the sugar spoons - 6 inches to be exact. 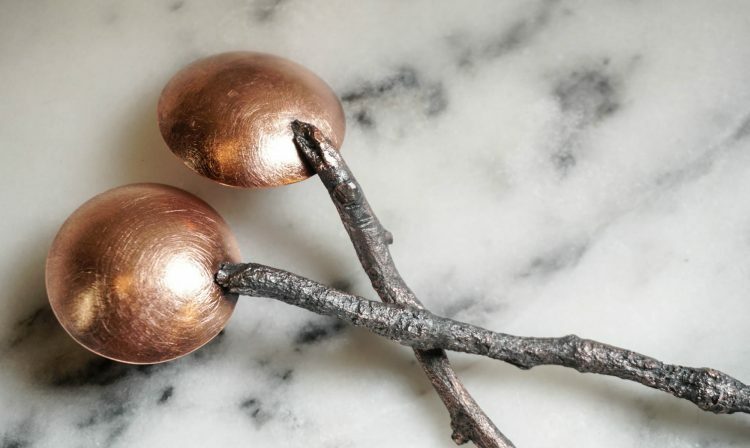 This was the largest set of twigs spoons that I've made yet and offered me a bit of challenge. When I finished Amies spoons I loved how sturdy they felt in my hands and how beautiful they looked from all angles. I particularly like the texture of the handle, that will always be my favorite part of the twig spoons. 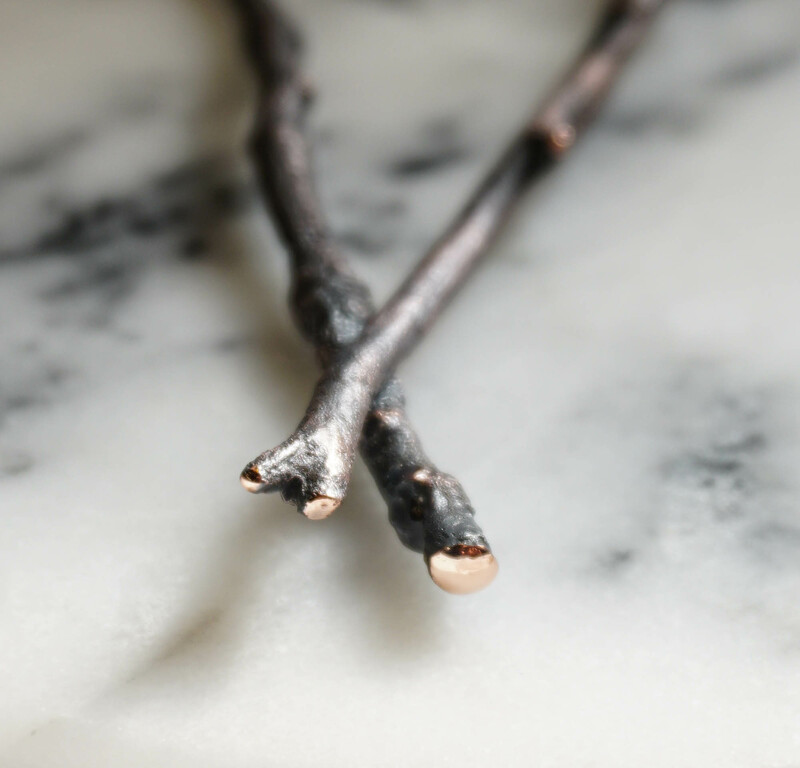 With the black patina brushed back a bit to let some of the copper show though, you can really see all of the organic details of the twigs. 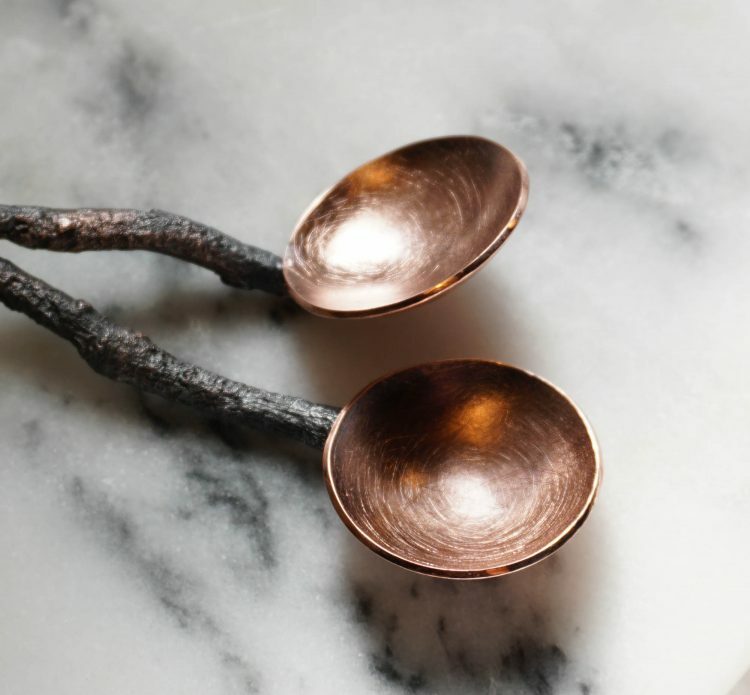 Not long after I shipped these twig spoons out to Amie, did I receive this lovely email. Your beautiful spoons arrived today. They are even more beautiful than the images. Oh my!! I love love love them and promise to cherish them always!